These photos are from the above named practical workshop, run by Beatrice Jarvis & Dr Bob Jarvis, exploring the city as stimulus and studio which was run as part of UrbanPhotoFest. Investigating how can the body become a reflective mechanism for the experience of the body in the city? How far can the city be shaped and moulded by the actions and reactions of the body? The workshop explored how photography and choreography can be used as tools to map and interact with the activity of the city. 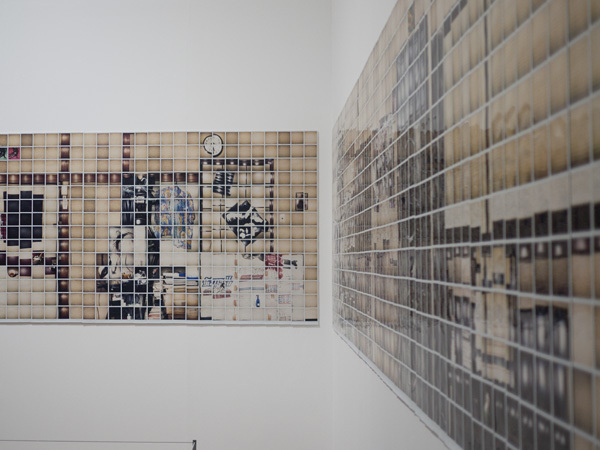 Working from a series of choreographic scores; we explored 3 sites around Truman’s Brewery and formed a short series of interventions and spatial reflections forming a series of photographic works collaboratively and individually. The session brought together photographers, sociologists, choreographers, architects, town planners, artists, film makers and those with a keen interest for urban space investigation for a reflective, active and constructive series of actions and dialogs. Urban space effectively became a live laboratory during this workshop to play, discover and create. There were 10 participants on the course and we each had to submit 24 photos so 10 people | 10 stories | one route. This is my submission – I am trying to move between observer and participant in the experience. I wonder if it shows in the photos? The city is choreography of life and it can be used as resource for artistic practice; it can form a productive and substantial input for the creative mind. The motifs of human form repeat on the streets, to be observed, interpreted, or simply left in their flux. Crescendos and diminuendos of the bustling street rise and fall with the breath of the city, a living organism, which one can walk upon, in, beside and amongst. 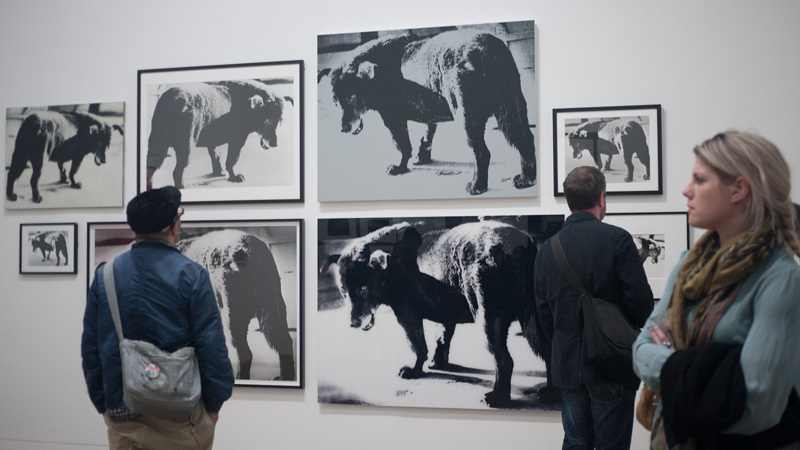 I was lucky enough to attend this one-day event held at Tate Modern. Printing Show was a rare opportunity for participants to create their own numbered limited-edition photobook by the renowned master of Japanese photography, Daido Moriyama. Each participant edited and sequenced their own copy, which was staple-bound with a silk-screened cover and signed by the artist, during this performative event. The entire book-making process happened live on site in full view. The photobook generated during this performance is entitled MENU. 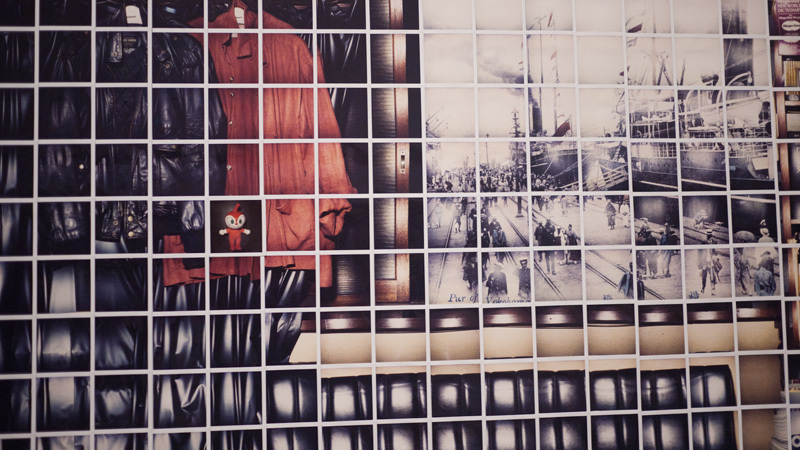 Printing Show featured a menu of over 90 images from Moriyama’s oeuvre, including recent colour photographs. 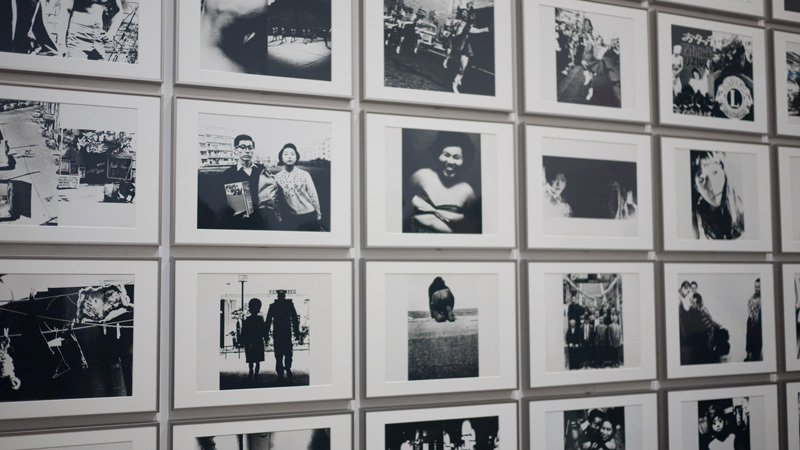 The event is a re-staging of DAIDO MORIYAMA PRINTING SHOW, which took place in Tokyo in 1974. Instead of mounting photographic prints on the gallery walls, Moriyama installed a photocopy machine and silk-screen printing station, generating individualised photobooks composed of photocopied sheets, staple-bound inside a silk-screened cover. Entitled Another Country in New York, the book made use of photographs that the artist shot while in New York City in the winter of 1971. 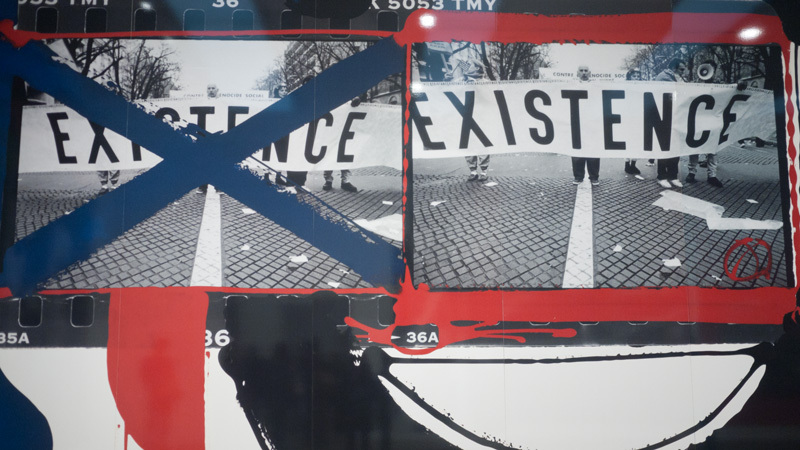 PRINTING SHOW is a Goliga project organised by Ivan Vartanian and coincides with the William Klein + Daido Moriyama exhibition at Tate Modern. 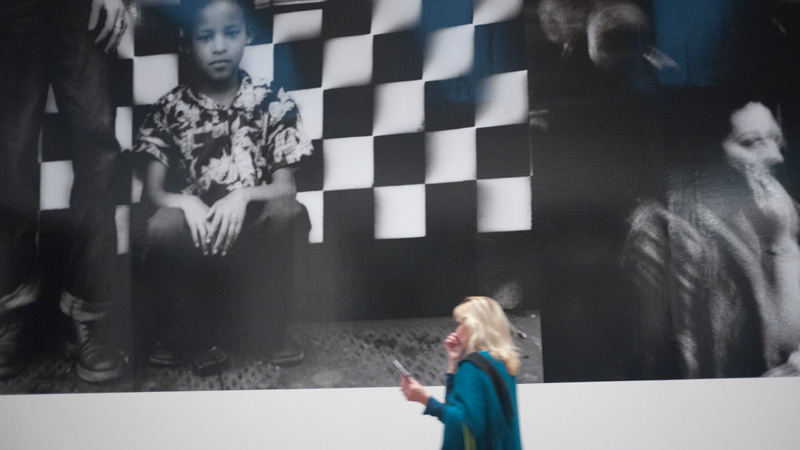 I got a sneak preview of the William Klein + Daido Moriyama show at Tate Modern last night after Daido Moriyama’s talk. This really is a *must see* exhibition. You can read a review on 1000 Words blog.